The phenomenon of consciousness is fundamental to our existence, yet it remains the most profound mystery we can imagine. Down through the ages, generations of scientists, philosophers, mystics and artists have searched for a deeper understanding of consciousness and the true nature of reality, whether through scientific research, reasoning, creative expression or introspection. Western biologists and neuroscientists have studied the brain down to the atomic level, but so far an enduring theory of consciousness that combines the physical with the phenomenological remains tantalizingly elusive. Philosopher David Chalmers has called this the "hard problem" of consciousness. The early 20th century pioneers of quantum physics such as Niels Bohr and Erwin Shrödinger came to realize that consciousness is a fundamental property of the universe, that consciousness may be all there is, and the mind/matter divide is an illusion - albeit a compelling one - something that even Einstein alluded to. For centuries, the Eastern contemplative traditions utilized the mind as an instrument of exploration, perfecting techniques such as meditation to reveal what has been called our true inner nature. It now appears that these two very different approaches -- the scientific and the mystical -- have a common ground that may provide the crucial link between empiricism and subjective experience. ​Perhaps we will never fully comprehend what consciousness is or how it arises in the universe. But the quest to know itself remains irresistible to the inquiring human mind! 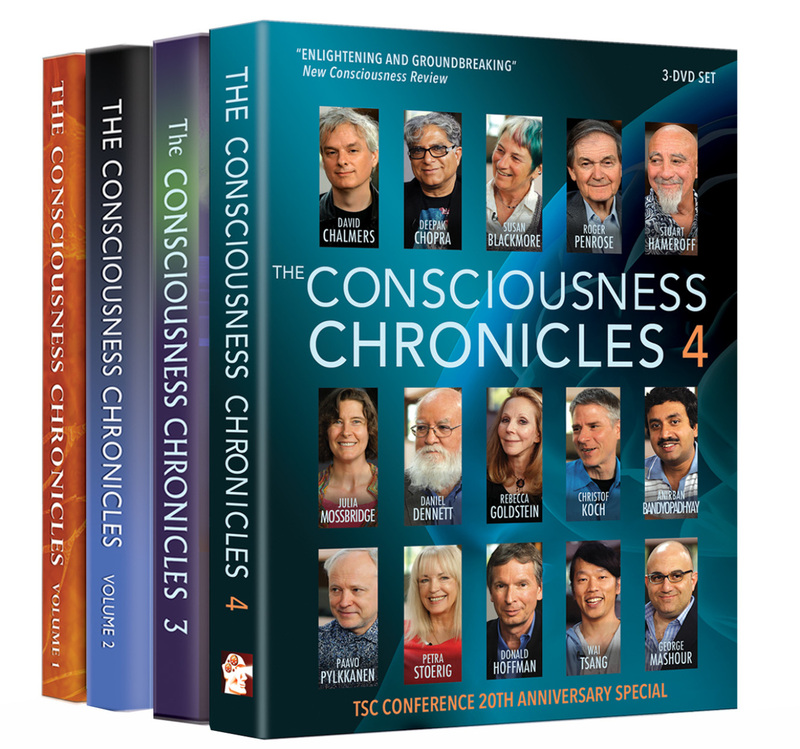 The latest edition of the Consciousness Chronicles brings together some of the top minds in the world to share their views on how consciousness research has evolved since the inception of the Toward a Science of Consciousness conference 20 years ago. Today the debate is as lively as ever, with the materialists squaring off against the panpsychists and idealists! Participants include philosopher David Chalmers, who famously coined the phrase "the hard problem" of consciousness, author and educator Deepak Chopra, pioneering neuroscientist Christof Koch, philosopher Daniel Dennett, author and broadcaster Susan Blackmore, and many more. Chronicles 4 offers almost six hours of compelling in-depth conversation, including an exclusive one hour special with renowned mathematical physicist Sir Roger Penrose, author of The Emperor's New Mind. Chronicles 4 is also available as individual video and audio downloads. 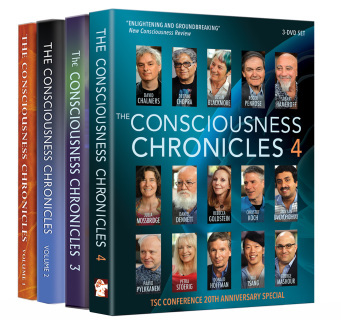 Please note: Chronicles DVDs are currently out of print. ​Digital downloads of Chronicles 4 are still available in the store. Watch or listen to the Chronicles 4 on your smart phone or portable device by downloading MP4 video or MP3 audio of individual interviews.